This Odd One Out Math Question will test your Mathematical Skills. To solve this Math Question, your have to use not only your Mathematical Skills but also Logical Thinking Ability. In this Puzzle Picture, there are some numbers given in the heart shape. Can you search or find which number is Odd One Out? 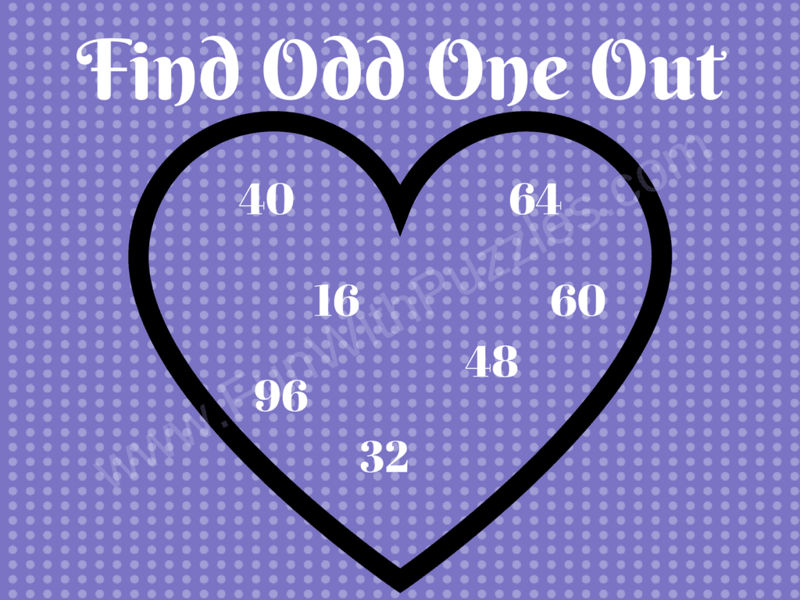 Answer of this "Odd One Out Number Math Question", can be viewed by clicking on button. Please do give your best try before looking at the answer. The Answer is 60. All other number are divisible by 8.